Is it a clever shopping trick, an insidious form of cheating, or neither? Auction sniping, the process of placing bids at the very last moment of an auction, is an (often unduly) controversial topic on eBay. Though there are groups of buyers and sellers alike that advocate sniping, and competing groups of buyers and sellers that are sure it’s a kind of cheating, most of the eBay community pays sniping little heed. Here’s why. The idea behind sniping is simple: because eBay’s goods are sold at auctions that end at a specific time, rather than after bidding slows down, clever buyers can wait until the last possible moment (often one or two seconds before the auction closes) to put in their final, high bid. Theoretically, this leaves competing bidders with no time to place counter bids, even though they were willing to spend more money. Once it has this information, the sniping service remembers to log into eBay on your behalf each time one of these listings is about to end, placing the bid you’ve specified and, theoretically, winning you the auction by not giving the competition enough time to counter-bid. Sniping services are therefore about convenience. They make it so that you don’t have to be online or even paying attention to snipe an auction when it ends. Instead, you pay the sniping service, and they snipe the auction for you and report the results back to you. If you win, you complete your transaction with the seller just as you normally would on eBay. New eBayers are often shocked to find out about sniping and even more shocked to learn that veteran eBayers often feel lukewarm about it. Often, beginners think they’ve found a real leg up on the competition. In other instances, new eBayers may become upset after losing an auction, believing that they’ve “been sniped” by a last minute bid and feeling that sniping is fundamentally unfair. The rise of fixed-price listings. A very large and increasing percentage of eBay’s item listings, including many of the hottest listings from the hottest sellers, are not auction listings at all, but fixed-price listings. Sniping is meaningless in the context of a fixed-price listing, where prices don't change, and purchases/sales are simply made on a first-come, first-serve basis at the stated price. eBay’s built-in proxy bidding system wins against snipe bids. 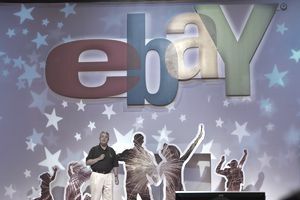 Thanks’ to eBay’s built-in proxy bidding system, would-be “snipers” are often foiled in their attempts to save a buck and end up losing items they’d have won if they’d bid on eBay (rather than using a sniping service) in the first place. The reason for this is simple: veteran eBay shoppers simply tell eBay (using the proxy bidding system) that they want to outbid potential snipers. When snipers bid at the last moment, therefore, eBay immediately responds (it takes zero seconds) with veteran shoppers’ pre-arranged counter-bids, ironically leaving the sniper from the sniping service like the one with no time to respond. New snipers are often frustrated by this “cheating,” but anyone is free to use eBay’s built-in proxy bidding service, just as anyone is free to snipe. Thanks to proxy bidding, sniping doesn’t save you time, either. The other thing that eBay beginners often value in sniping services is the fact that such services can bid on a buyer’s behalf when the buyer isn’t logged in. What these buyers don’t realize is that eBay’s proxy bidding system does the same thing for you, with an important advantage: it always wins against snipers if the eBay-based maximum bid is higher, regardless of timing. Some new to eBay mistakenly think that eBay’s proxy bidding system is a form of “sniping,” and get upset when they repeatedly bid on an item only to be instantly outbid over and over again. They’re positive that this is another buyer, or even eBay itself, again “cheating” or even committing some form of fraud. In fact, what’s at work is eBay’s proxy bidding system—a system that they’re also free to use themselves—as it bids on behalf of other buyers interested in the auction. There are a few other things about sniping that you should keep in mind before you consider sniping the majority of the auctions that you bid on. Read on to find out what they are. Sniping can help to win an auction is when all of the auctions bidders are relatively new to eBay and equally unaware of or unwilling to use eBay’s proxy bidding system. But using a sniping service is not something that most experts would unconditionally recommend, for several reasons that go beyond a single win or loss. Overall, for most mass-market goods on eBay, you could easily win significantly fewer auctions as a sniper than you would as a regular bidder familiar with eBay's bidding features, though sniping may help you to win in a few cases where you otherwise wouldn’t have. Still, it’s probably a poor trade-off, especially given what's to follow. More worrying is the fact that when you sign up for a sniping service, you have to supply your eBay membership information, including username and password, to the service in question. Keep in mind that inside your eBay account are details and links to much of your private life—your email address, your bank account and payment information, your home address, and all of the things you’ve ever bought and sold. Trusting this information to eBay is one thing. Do you trust the third-party sniping service every bit as much? If you're the sort of person to be worried about identity theft, this is a critical issue. Some sniping services also promise to provide services beyond mere last-moment bidding. They may promise to help you to retract or revise bids. Or, to “walk up” or “advance” the price of an auction against eBay’s proxy bidding service until your bid is "just high enough" to win so that you “don’t have to pay extra” to win the auction. You can’t retract a bid using a sniping service. Bid retractions are generally against eBay rules; if this is what sniping services offered, your eBay account would quickly be suspended. (Not to mention that when it is allowed, you can retract your bid on eBay's on the website anyway). Instead, what these services mean is that you can change the what you’ve asked them to bid on your behalf, so long as they haven't yet placed the bid in question on eBay. Once an eBay bid is placed for you, however, it remains binding. You can “walk up” without a sniping service, and doing so doesn’t help you anyway. Because of the nature of eBay’s proxy bidding system, always in place for every single auction listing on eBay, no bidder on eBay has paid or will ever pay “extra” for an auction above what was “needed” to win the bidding. Regardless of how high the final submitted bid was, the winning bidder always pays only and exactly one bid increment higher than the second highest bidder's bid. So what the sniping services are selling, in this case, is already (and has always been) built into eBay and free for all to “use.” Simply place the absolute largest bid you're ever willing to place for a given item, and eBay will take over from there, starting the bidding on your behalf from the low end and bidding for you until the auction closes. This will ensure that you will win the item if you can, but will never pay more than is necessary to beat the next highest bidder. For these reasons, most veteran eBayers don’t use sniping services and have no particular opinion in the ever-present about whether or not sniping is a good thing. For most savvy shoppers, it’s an extra expense that doesn’t add anything eBay itself doesn't already offer, but that may put personal data at risk. If, at the end of the day, it’s the way you get outbid that upsets you, look into learning about the proxy bidding system and putting it to work for you—since proxy bidding can significantly increase your future success on eBay, and is free as well.